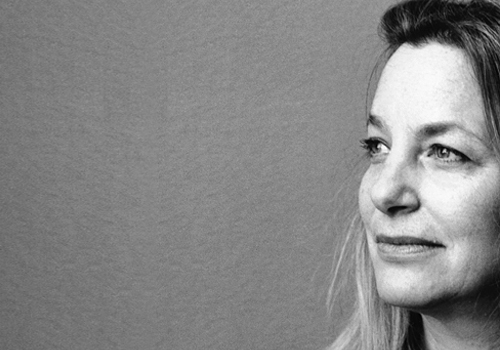 This is Paula Scher! She is one of NYC’s finest graphic designers. She is known for many identities and famous logo’s. Not only did she create the well known citibank logo as well as the Tiffany & Co. packaging, but she is also known for the New York City Ballet identity, The Public Theatre Posters, and much more. 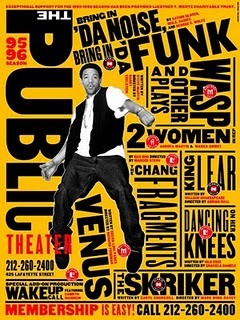 This is one of my favorite Public Theatre poster of Scher’s. She is so wonderful with type and I think that this poster is just so interesting to look at due to the different size, font, color, and position of the type. 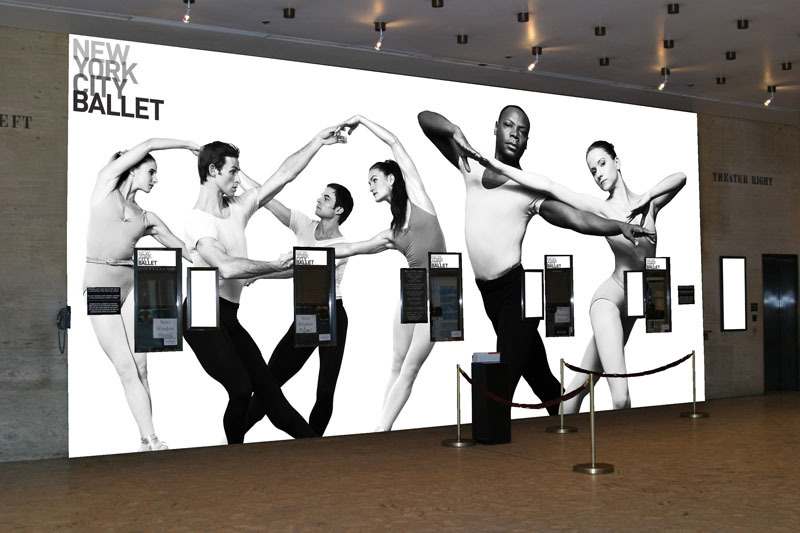 These pictures above show advertising for the NYC Ballet. 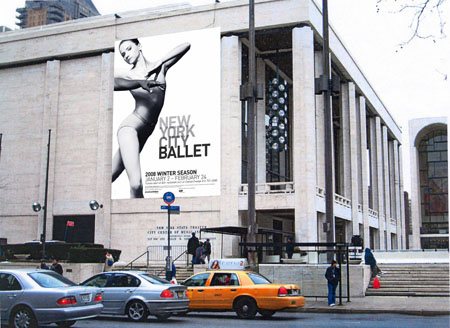 I love the ballet and I was excited to find out that the designer I was chosen to research is the women behind the advertising for the NYC Ballet! I think this women is just so spectacular! Other’s must agree because her work can be seen in permanent collections of, among others, the Museum of Modern Art, New York; the Library of Congress, Washington DC; the Museum für Gestaltung Zürich; and the Centre Pompidou, Paris. I love how the advertising for the ballet is done in black and white. Ballet is such a classic dance form and black and white photography is the classic for a photo. I am a fan of ballet and the classic form of photography so I think this was well done. Yes, I agree. I am also a fan of Ballet, and her identity makes me enjoy the Ballet even more. As Scher once stated regarding her NYC Ballet Identity, “The identity is designed to be powerful and graceful at the same time, like the company.” I think she did a wonderful job!